However while sales began in April, they were halted in June when Chrysler issued a recall related to a potentially faulty diode within the power inverter module. 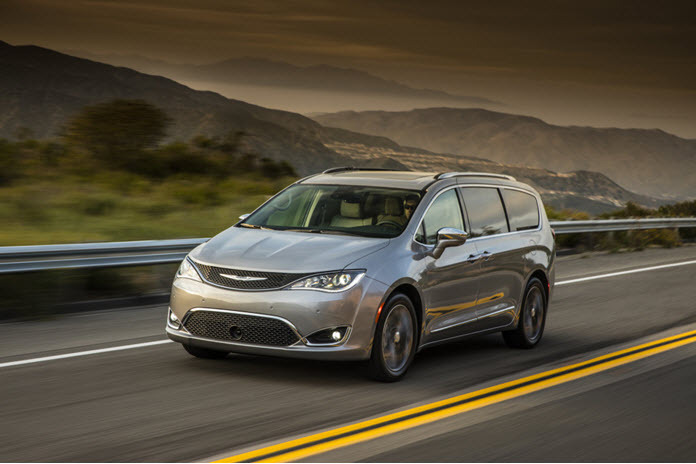 That part could stop functioning altogether, leading to a powertrain shutdown, and Chrysler said the recall affected 1,368 Pacifica Hybrid minivans in the U.S. and 309 more in Canada. Now the Pacifica Hybrid has gone back on sale, with all new models carrying a 2018 model year and including the updated diode. Dealer orders for the car reopened last month. While Chrysler doesn't discuss production, it appears to have been building the 2018 Pacifica Hybrids for several weeks. Several owners on Pacifica online forums had described issues, ranging from difficulties in charging the battery to the powertrain shutting down in traffic, before the recall was announced (it's detailed on the NHTSA website in PDF format). Not all 2017 Pacifica Hybrids were affected, but owners of the almost 1,700 vehicles subject to the recall received recall notices by mail, containing details about when and how to schedule a service visit at their local dealer. Fiat Chrysler media relations manager Eric Mayne said that the company was unaware of a single crash or injury related to the faulty diode. He noted that "customer demand and public interest remains strong" for the one-of-a-kind plug-in hybrid minivan. The company has chosen to market the vehicle as a conventional hybrid, including suggestions that owners need not plug it in to benefit from its increased fuel economy. Owners are eligible for a federal income-tax credit of $7,500, and California buyers receive a $1,500 purchase rebate, regardless of whether they plug it in or not. Unfortunately, Chrysler has not historically been willing to break out sales of its Fiat 500e electric car from overall Fiat 500 sales; unless that policy changes, we will not know how many Pacifica Hybrids are sold now that it is available once more. Will potential customers still have the same level of interest after the recall problems? It seems that the interest in still there, and why not since it’s the only plugin hybrid minivan currently on the market. Owners of hybrid Pacificas from the 2017 model year who have additional questions or concerns can call Fiat Chrysler's U.S. Customer Care Center at 800-853-1403.